The calls to renew the unemployment extension have resumed. I will go into why conservative arguments agaisnt the unemployment expansion fall flat on their face. Then I discuss more issues dealing with the #RetakeCongress tag I created. First, the GOP will be running against President Obama in 2014. So shouldn’t Barack Obama run against them in 2014 if he wants a Congress to support him? Finally, I will be speaking with Vic Meyers, candidate in Colorado’s 4th Congressional District, about his campaign. I will also be having a conversation with Ronny Richards, candidate for Congress in Ohio’s second district as part of my #RetakeCongress campaign. Finally, as a last minute addition, I will be talking about today’s Supreme Court ruling on “free speech” and campaign finance law. Just how dumb are the drab five? 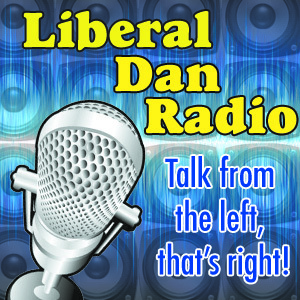 All that, tweet of the week, headlines and more on Liberal Dan Radio: Talk From The Left, That’s Right. Wednesdays at 8pm central on BlogTalkRadio.